Posted on April 16, 2014 by Ronald Patrick Raab, C.S.C. 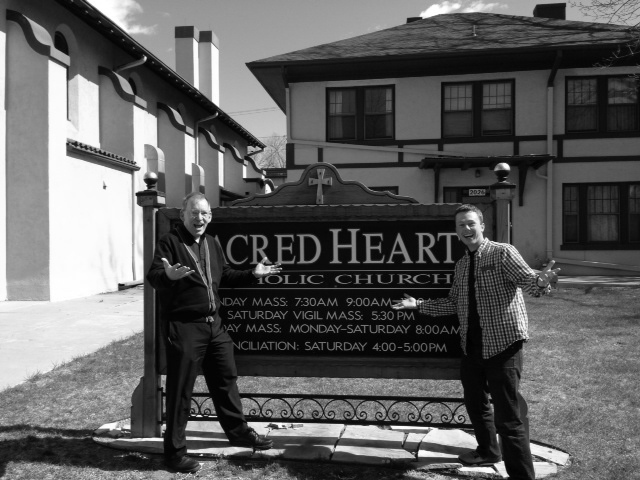 Jeremy Marks, former staff member at Saint Andre Bessette Church in Portland, Oregon dropped by last week in Colorado Springs. So good to connect with him and memories of our days in Portland. Thanks for your guidance yesterday. Your ministry is a blessing to many many people!